Ask a parent what they miss most about life before kids and I guarantee the answer will be sleep. If they don’t say sleep, then they’re too sleep-deprived to think clearly and answer honestly. 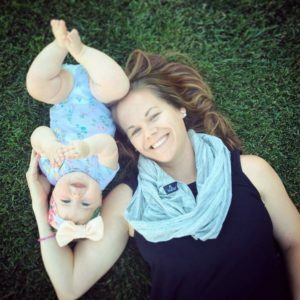 I read an article recently that discussed the findings of a research study looking at sleep deprivation in new parents. 44 days. A new parent misses out on 44 DAYS of sleep in the first year of their child’s life. That’s enough to send even the sanest of parents into a frantic search for anything that may help them recoup some of these hours. It probably won’t come as a surprise to find out that the infant sleep industry is worth more than $325 million a year. 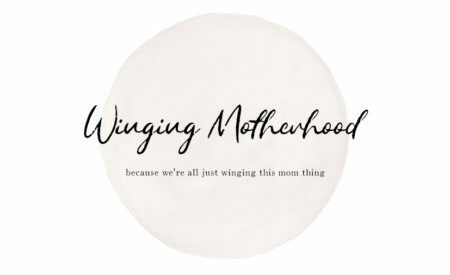 And that’s not counting what you spend on Amazon during all of those midnight rocking and feeding sessions. Even if you CAN afford the Snoo Smart Sleeper with it’s $1,100 price tag (and if you can, will you be my friend? ), guess what? It may not matter. Babies are tricky little creatures…what works for one, or most, may not work for yours. What worked for us, or for our daughter I should say, is white noise and warmth. The kid likes to be warm when she sleeps. This is totally foreign to me, I’d sleep with an air conditioner in the window all year round if I could. 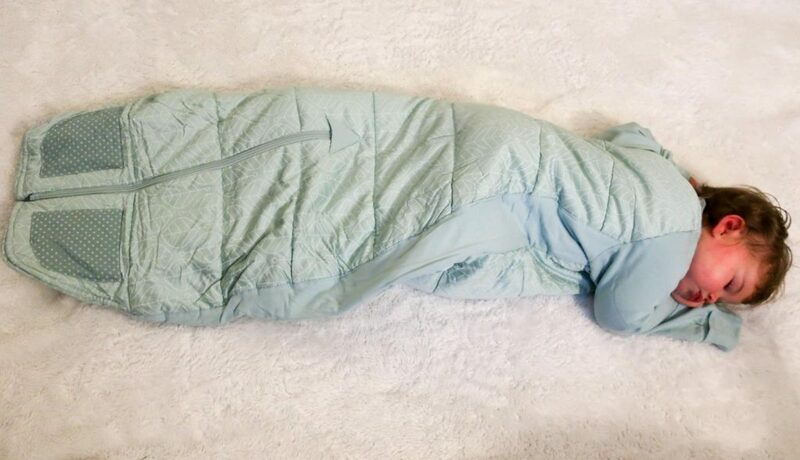 It wasn’t a difficult task when she was a newborn and we could swaddle her, but as soon as she outgrew the swaddle we endured many a sleepless night. 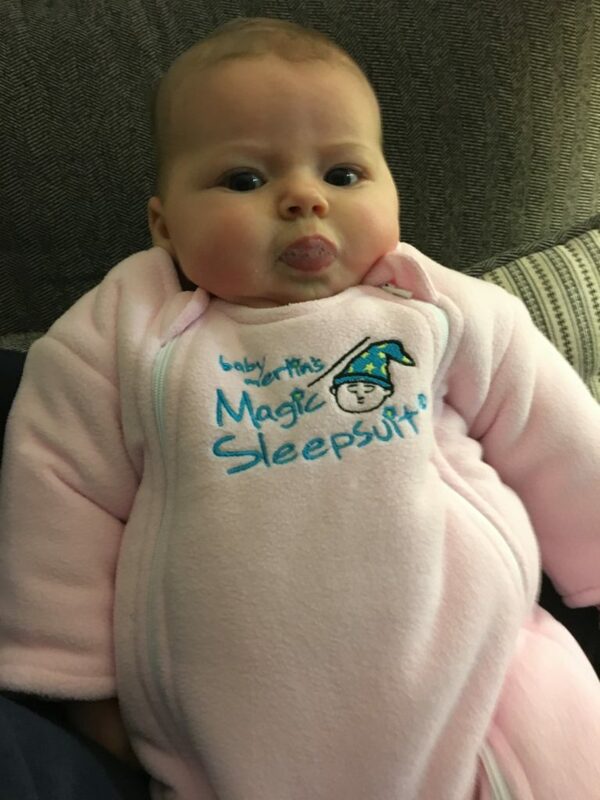 Luckily we were gifted a Baby Merlin’s Magic Sleep Suit and voila, back to sleeping through the night. And then she outgrew it. Merlin, if you’re listening, we need this in a bigger size! So I went on a hunt for new sleep gear. 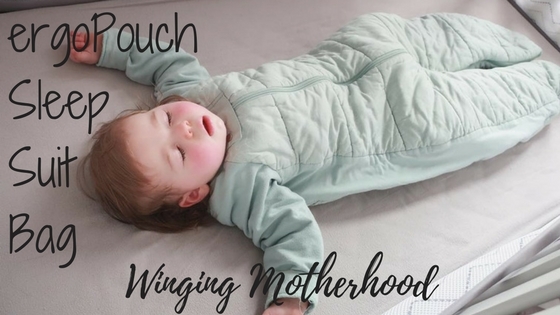 The ergoPouch Sleep Suit Bag not only checked all of the boxes on my list of must-haves, but even surprised me with a few additional features. The ergoPouch provides a safe way to keep my daughter warm without adding extra blankets. I’ve read enough sad stories to make me swear off blankets for my daughter like they’re poison. Made of soft, organic breathable cotton, the ergoPouch provides warmth without causing her to overheat. It keeps her body temperature consistent overnight, promoting a comfortable sleep. The sleeves also feature optional fold down mitts to prevent any accidental scratches while sleeping. There are several weight options to choose from, so you can select the most appropriate pouch for your climate. Every pouch also comes with a handy thermometer so you can accurately determine the temperature of your nursery (or whatever room your baby sleeps in). Size options include 2-12 months, 18-24 months, 12-36 months, and 3-6 years. We opted for the 12-36 month size for our daughter, who was 13 months old when we got it. It fits her now with plenty of room to grow into, so we’ll be able to use it next year and the year after that. There are a wide variety of color options to choose from, including this perfect gender-neutral mint color. Since our daughter is our first child, and we plan to add to our family eventually, we’re trying to stick with as much green and grey as possible. Easily transform from sleep bag to sleep suit. 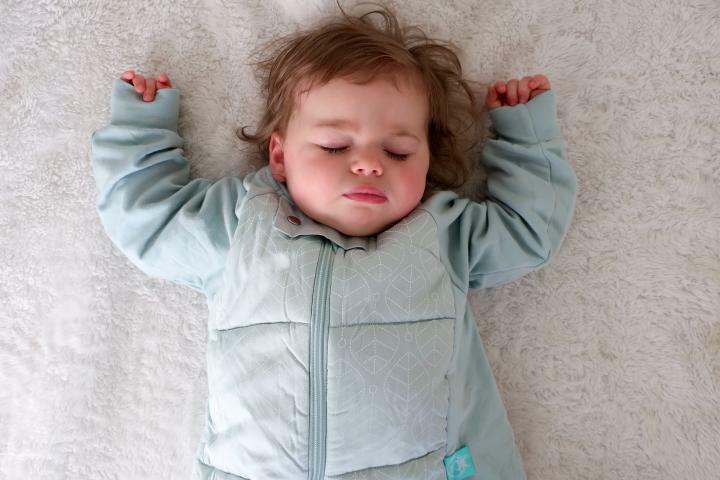 What really sets the ergoPouch apart from other sleep suits is the ability to convert from a sleep bag to a sleep suit with legs thanks to its 4-way zipper design. Because it can easily go from sleep bag to sleep suit, it makes it easy to travel with as well. Middle-of-the-night diaper changes are much easier since there’s no need to fully undress. The feet have grip pads, providing extra traction for new walkers. The 3.5 Tog version we opted for is the warmest option available (optimal for sleeping in 64F-73F room temperatures) and retails for $60. It is very affordable, especially when you take into consideration the amount of time you’ll be able to use it. I know that we can’t give the ergoPouch all of the credit for our daughter’s good sleep habits, but I’m not willing to do an experiment and put her to bed without it. Would you give up 11 hours overnight and a 3 hour afternoon nap for the sake of research?! I didn’t think so. I received this product for free in exchange for my review. All opinions are my own and are 100% honest.